“Meet and greets” will take place in each of Baltimore’s nine police districts starting Feb. 11, when Mayor Pugh’s designee takes over as acting police commissioner. 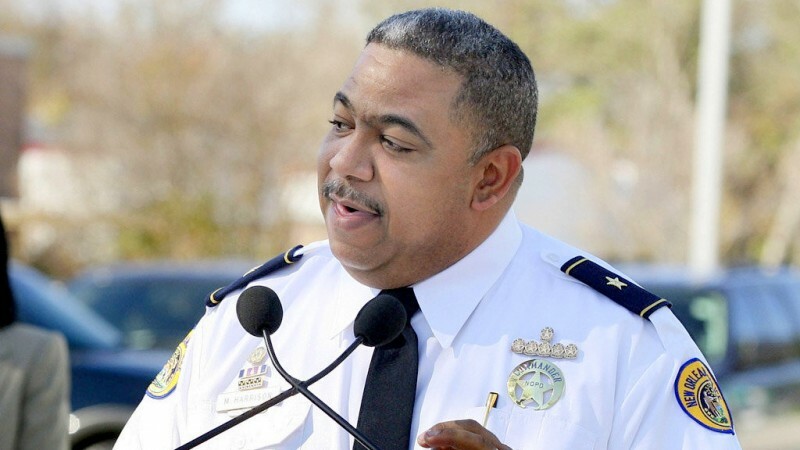 Mayor Catherine Pugh firmed up key details of the confirmation process for Michael S. Harrison today, including the schedule of public meetings planned to give citizens an opportunity to see her candidate for police commissioner in person. The first of these will be on Monday, February 11, from 7 p.m. to 9 p.m. at Forest Park High School, 3701 Eldorado Avenue, in the Northwest Police District. A meeting schedule was circulated on social media by a resident who attended an invitation-only meeting with Harrison last month, but Pugh’s office said at the time it was “shared prematurely” and that the locations and dates had not yet been confirmed. NOTE: The mayor’s office still has not released an official list of the names of those who attended the unannounced City Hall session. Next Monday’s Northwest District meeting coincides with Harrison’s first day as acting commissioner. There will be much to talk about, including State’s Attorney Marilyn Mosby’s announcement that her office will not prosecute marijuana possession. Meanwhile, the interim police commissioner, Gary Tuggle, said last week he would not tell officers to stop making marijuana arrests. Also, a harsh audit of the BPD was recently released showing that the agency had no records to back up its claims of how much time patrol officers spent on proactive policing versus other activities. And violence continues to plague the city, with a 28-year-old employee of the University of Maryland Medical School in critical condition after being shot this morning outside the hospital. On February 11, Pugh will formally submit Harrison’s nomination to the City Council’s Executive Appointments Committee, according to a statement from her office. The next step will be on Monday, March 4, at 5:00 p.m., when the Executive Appointments Committee will hold a hearing on the nomination at City Hall, 100 Holliday Street. This will cue Harrison’s nomination to come up for a final Council vote the following Monday, March 11. The Council meetings and the police district “meet and greets” are open to anyone regardless of where they live in the city.